I am currently reading Children of Blood and Bone by Tomi Adeyemi. It's all I can do not to scream. I dig my nails into the marula opak of my staff and squeeze to keep from fidgeting. Beads of sweat drip down my back, but I can't tell if it's from the morning heat or from my heart slamming against my chest. Moon after moon I've been passed over. I have Expectations for this book. And although I'm posting this for Book Beginnings, I'm actually almost finished. And it's bloody excellent. The start is excellent and if anything it gets even better as it progresses. Right from the first lines, I knew I was going to enjoy it. I am going through such a fantasy kick right now, and this book is like catnip. You are plunged straight into a rich world that exists, and not just for the characters. It is magnificently written, with tiny nuances that make Orïsha stand out from other fantasy worlds. And the characters, wow the characters. I love Zélie and Amari, they are the kind of characters I want to read always - original and strong in a hundred ways. He doesn't see that her blood stains my own hands. I scramble backward onto my feet, tripping over the hem of my dress. I rush up the stairwell at the corner of the main hall, my legs shaking with every step. My vision blurs as I fight to make it to my quarters, but it's all I can do to rush over to a vase. I grab onto the ceramic rim. Everything inside me comes back up. With this being a 600-page Door Stopper of Awesome book, page 56 is riiiiight at the beginning. Everything is still being set up, and it's the first glimpse of Amari (who is my favourite, I love her, Amari forever) and her family situation. This is a great example of how the author doesn't just tell what characters are feeling, she truly shows it. I can feel Amari's terror and horror and panic and guilt. Honestly though, this book. Go out and get it now and be amazed. This book is so good. so good. Yours is not the first glowing recommendation I've seen for this book. I'll have to get a copy and give it a try. This week I am featuring Under the Shadows by Gwen Florio - a mystery from my review stack. Happy reading! The opening definitely grabbed me. I don't read much fantasy, but since I like the writing in the excerpts you've posted, I think I'd enjoy this story. My Friday post features a psychological thriller: The Marsh King’s Daughter. I am currently reading a cozy mystery,Etched In Tears by Cheryl Hollon!! I love when expectations are met! 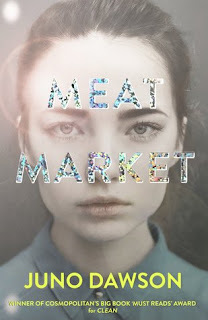 I'm not sure this is for me as I don't read much of this genre but it does sound like one that pulls you in! Now I'm even more excited for Children of Blood and Bone. I want to read this one baaaaaad! :-) Happy weekend! Ooh, I can't wait to try this! Happy reading! 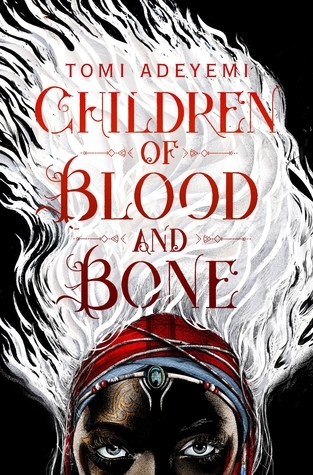 I want to read Children of Blood and Bone so much, I've only heard great things about it and the beginning made me even more curious. Thanks for sharing this and I'm so happy you're enjoying it! Happy reading!